The Latin American–fusion pub brings OTR vibes to the east side. When Over-the-Rhine restaurant veteran Trevor Snowden set out to open something all his own, he set his sights on Mt. Lookout. He thought the area was in need of something a little different. Latin-infused gastropub Delwood Eat & Drink, was just what he had in mind, taking the former spot of Wurst Bar on Linwood Avenue at Mt. Lookout Square. 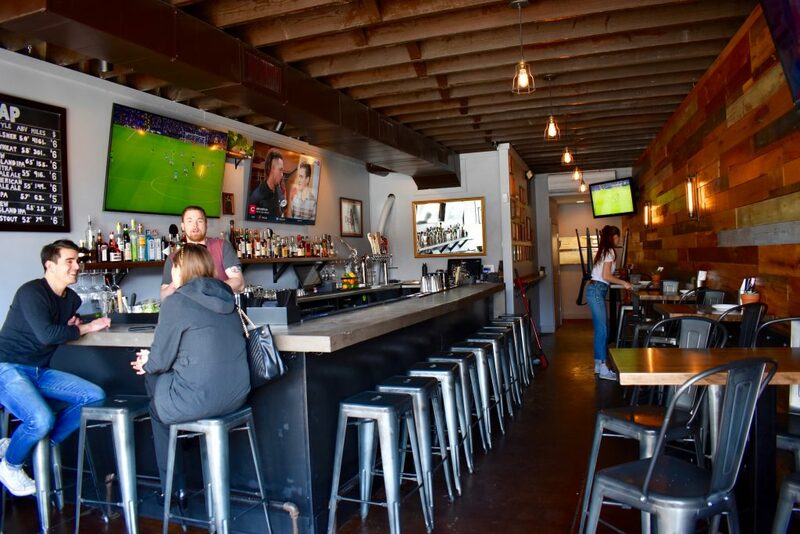 A Hyde Park resident who previously worked for the Thunderdome Restaurant Group and oversaw multiple OTR eateries, Snowden was excited to bring the same appeal of an OTR spot to the east side neighborhood. Delwood, named for the converging Delta and Linwood avenues, serves classic bar fare with a Latin American twist. Snowden, whose mother is from Peru, initially toyed with the idea of launching Delwood as a Peruvian restaurant. With the goal of serving cuisine that would appeal to everyone, he instead chose to spice up traditional American dishes with flavors of Brazil, Chile, and Peru. “I grew up eating Peruvian food, and what we wanted to do was take some classic bar dishes—fried chicken sandwiches, burgers—and add a Latin touch to it,” he says. 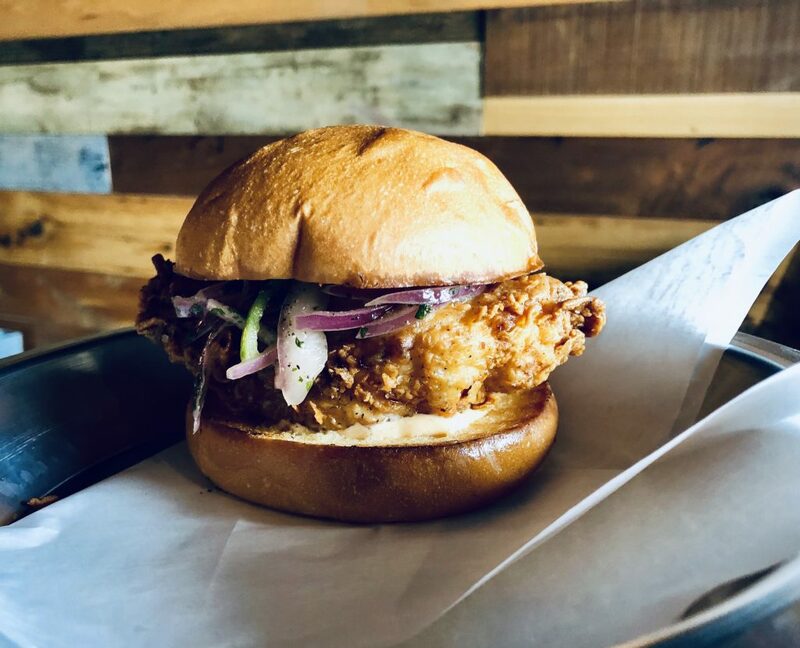 Its staple fried chicken sandwiches get a peppery kick with aji amarillo aioli, spicy rocoto aioli, and extra flavor from a 24-hour brine. And for those who steer clear of spice: the traditional double cheeseburger is solid choice. 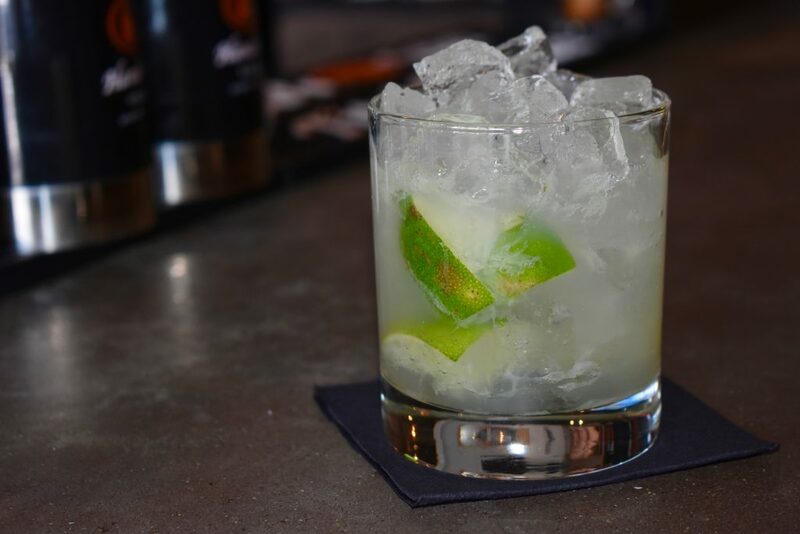 The Latin influence extends to the cocktail menu, which includes Brazil’s national cocktail, the Caipirinha, the popular Peruvian Pisco Sour, and a selection of Chilean and Argentinean wines. For now, the wood-paneled interior and spacious bar create a cozy-chic spot to enjoy a meal and watch a soccer game on one of the many flatscreen TVs. Soon, the finished dog-friendly patio will be the perfect place to sip cold, lime-infused cocktails in the shade. Delwood opens at 4 p.m. Tuesday–Saturday and hosts a happy hour from 4 to 6 p.m. Previous articleHow Do We Survive Another Slow Start from the Reds?